In this study, we investigate the potentiating effect of PACAP27 on cholinergic neuromuscular transmission in the recently discovered flexor muscles of the land snail, Helix pomatia. Using immunohistochemistry, we show that PACAP and PAC1 receptors are present in nerve fibers innervating the flexor muscles but not in the muscle itself. We also observed that PACAP27 exerts both pre- and postsynaptic effects on the cholinergic synapse and performed tests using a broad spectrum of chemicals in order to explore the possible intracellular pathways through which PACAP mediates its stimulatory effect. 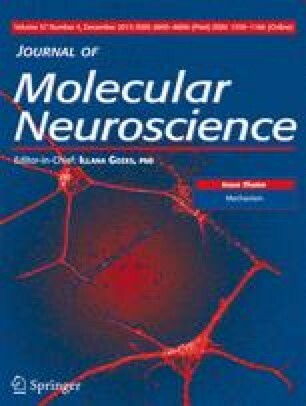 Our pharmacological data demonstrate that PACAP27 presynaptically enhances the release of acetylcholine by activating the adenylate cyclase-cAMP-PKA pathway. Postsynaptically, PACAP27 was found to enhance muscle contractility by PKC-mediated signaling pathway resulting in an increased Ca2+ release from intracellular stores. These findings suggest that regulation of Ca2+ release may contribute to the stimulatory effect of PACAP. Our data are the first demonstration of the potentiating effect of PACAP27 at the molluscan excitatory neuromuscular contact. We thank Zsanett Szarka for technical help. The work was supported by TÁMOP-4.2.2.A-/11/1 KONV-2012-0024 grant to T.K, as well as PD109099 and KTIA-NAP-13-2-2014-0006 (National Brain Research Program) grants to Z. P.